Turkish airline, Atlasglobal, has been Certified with the 4-Star Airline quality ranking by SKYTRAX, the international air transport rating organisation. 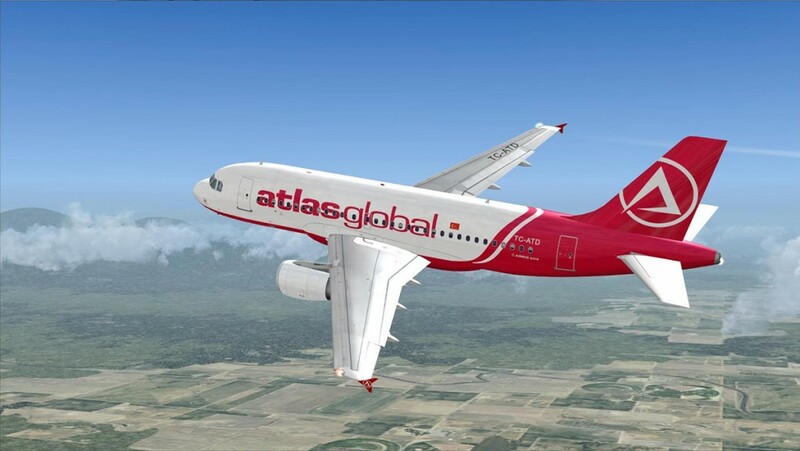 This 4-Star Airline rating is a mark of quality distinction that recognises excellent standards of Product and Staff service across different assessment categories for both the Onboard and Airport environment, with Atlasglobal noted for providing very strong standards of product and service quality to its customers. Operating domestic and short-haul flights from Istanbul Ataturk airport, Atlasglobal offer a full-service product in Business and Economy Class cabins. Atlasglobal has a total of 27 aircraft (A319, A320 & A321 types), with Business class offering a full-size 2×2 recliner seat and Economy Class is configured with a comfortable 30 to 31-inch seat pitch. In Business Class, passengers are offered full-size pillows and duvets, cotton hot towels and a full-range of washroom amenities. Locally inspired hot meals are delivered by an inflight chef, and impressively these are provided on all International and domestic flights. There is a full bar service of beer, wines and spirits available, with a finale of Turkish coffee to complete each meal. 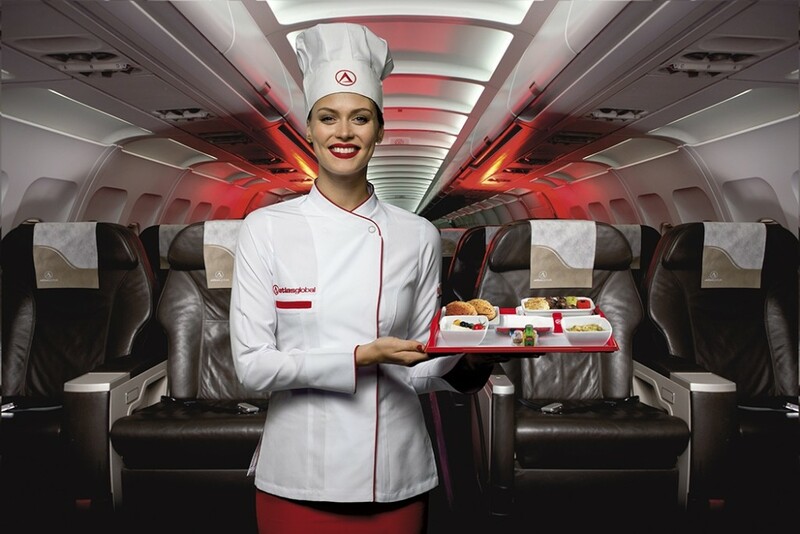 For Economy Class customers, a hot meal tray is served on International flights and the quantity and quality of catering exceeds most legacy European airline standards. For domestic sectors, a hot sandwich is provided. All products offered from the bar cart are complimentary and this includes local beer and International wine products, as well as the usual range of juices and soft drinks. On some longer flights, pillows and blankets are provided. Staff service in both cabins gives a very positive impression of the airline and Turkish hospitality in general. 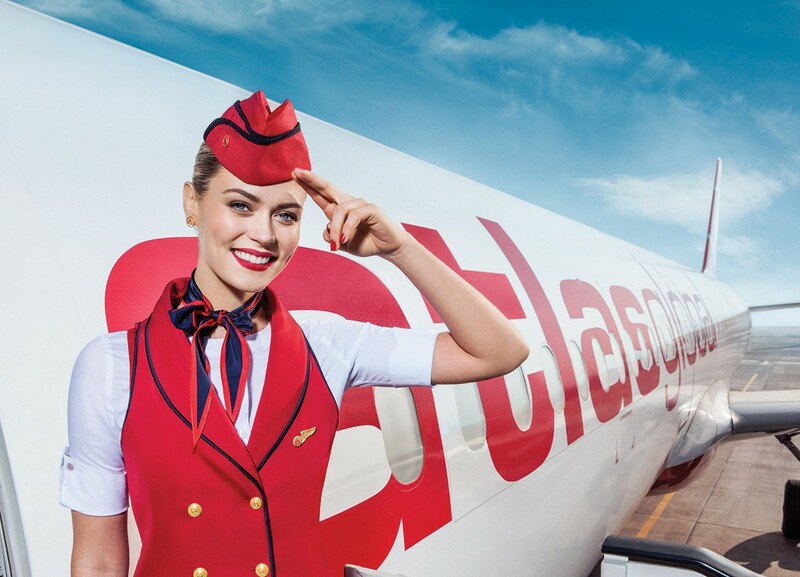 Cabin staff were noted to be engaging and enthusiastic, and deliver an efficient service to customers, with Atlasglobal continuing to develop the soft service quality. Future improvement includes developing inflight entertainment and connectivity products for customers, and the airline website and mobile application will be refreshed in early 2018. Skytrax completed the quality audit evaluation of Atlasglobal in October 2017, examining in detail all product and service delivery areas across the customer trip experience. Introduced in 1999, a leading international Airline Rating system that classifies airlines by the Quality of front-line product and staff service standards. Airline Star Ratings are recognised as a global Benchmark of airline standards, managed by SKYTRAX, the international air transport rating organisation.